There are probably thousands of books had been written on personal finance topics. If you are attempting to read all of them, life will be too short to spend on that. Instead, to gain decent knowledge about personal finance, all you need is to read 3-5 books of the best. You should read those books which are good and can teach you something good and practical. In order to save your time choosing which book to start with, please find this list of the top 10 personal finance books in history (at least the best in “my history” of reading). I read this book many years ago. All the theories are actual facts as a result of extensive research. This is a basic personal finance book which will teach you two sides of the finance-saving money and earning money. The writers interview many millionaires in order to find out what was common among them. Ultimately they find out that all of the rich people, the millionaires actually spend less than most people think they do. They constantly do budgeting and stick with it. They also review their finances monthly, if not more frequent. The authors also introduced a Wealth Accumlator Formula for comparing one’s net worth according to age and annual income. This book is being termed as a classic by the readers. It is associated with simplicity movement. 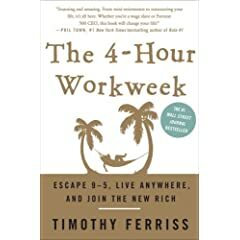 In the book, you will find that the author is emphasizing the classic saying “Time is Money.” As a complete book for the present age, it teaches the readers about setting out the work priorities, expense reduction and about getting as much passive income possible to gain financial independence. This is the most recent book I read. Since then, I recommended many friends who also bought it and got inspired. It teaches me not to delay my retirement life. The new rich live their life to the fullest, not deferring their lifestyle to later stage. Instead of having the old age retirement, we should have mini-retirement every year. There are a lot of resources in the book that show your how to outsource your life, and your business. If you can free yourself, and have mobility and freedom, you can work anywhere. The most important concept is to spend the least time on earning money, and enjoy the rest of your precious time with family and pursuing dreams. 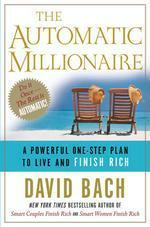 In this book, the writer proposes a new system to make money. The book is a straightforward march through common-sense personal financial planning that suggests readers “automate” their contributions to retirement and investment vehicles. You will have a good idea about all the financial instruments and so can use them in a better way to earn more money. His discussion of the “The Latte Factor” shows that, to find money to start a retirement plan, a person with a modest income needs to make an up-front commitment to stop accruing debt and to reduce spending on such “wasteful” items as lattes and cigarettes. 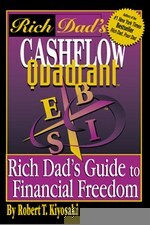 This book is about the popular concept of cashflow quadrant, made popular by Robert Kiyosaki. The poorest groups are employees and small business. In order to be rich, we should ultimately hop from employees and self-employed (or small business) quadrants to the business (with system) and investor quadrants. Even though it is a small book, What Color is Your Piggy Bank? 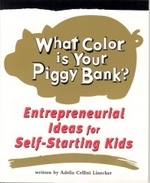 packs the most essential lessons for kids of age 10-14 who want to understand money and finance. This book offers great tips on discovering a passion or interest and translating it into a moneymaking endeavor such as after-school arts-and-crafts lessons or party planning. Chapters are short and to the point. I will make reading this book a compulsory task for my son. This is a good personal finance book for the entrepreneurs. You can learn a lot about entrepreneurship and about personal finance. Read it to understand the finance topics in a simple way. 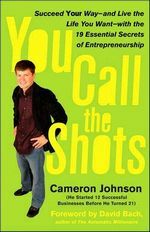 Cameron Johnson thoroughly outlines the strategies it takes to remove obstacles to entrepreneurial success. This book is essential reading for anyone with a passion for life. As wildly successful young entrepreneur Cameron Johnson shows, you don’t have end up bored with their jobs, stuck in the corporate grind, never following their true passions.. We’ve entered a new age of entrepreneurship, with the Web making it easier than ever to start and run your own company. As Johnson’s remarkable story reveals, the entrepreneurial way of life is a great way to make sure you love what you do — and it offers the potential to achieve extraordinary success by following your gut instincts and going for what you really want. 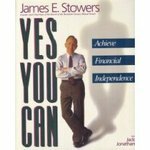 This simple book was written by James Stowers, the founder of the $25 billion Twentieth Century Mutual Fund family. Along with basic finance lessons, it provides investment concept rather than techniques. The famous quote by James is “all mutual funds are not equal, some are better than others“. If you want to make a profit from investing and get the most from mutuals this is the book for you. The entertaining cartoons and images that help illustrate very valuable, tried and true information makes the book a fun read. 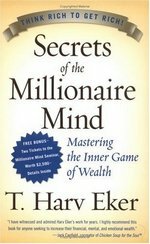 With such psychological nuggets as “Rich people focus on opportunities/ Poor people focus on obstacles,” Eker puts a positive spin on stereotypes, arguing that poverty begins, or rather, is allowed to continue, in one’s imagination first, with actual material life becoming a self-fulfilling prophecy. play the money game to not lose. 4. Rich people think big. Poor people think small. 6. Rich people admire other rich and successful people. people are smaller than their problems. people choose to get paid based on time. focus on their working income. 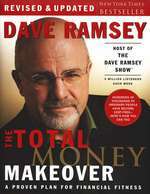 Dave Ramsey makes a compelling argument for the elimination of all debt by rather extreme means. He exposes the common myths spread by the credit industry and offers a solution for eliminating debt through something he calls The Debt Snowball. If you are highly in debt, this book will motivate you to live a debt free life. Dave preaches that you should buy with cash whenever you can. The writer has a personal finance empire and so you can hear him. Once you can get yourself out of debt, start to save an emergency fund. After you have a certain cushion or buffer, only they you should start investing. Even though this book doesn’t cover much other than debt management, but I am sure that it will motivate you to get out of debt. 17 replies to "Top 10 Personal Finance Books in History"
WoW! Great list. Do you think they have all this books in our (Malaysian) bookstores and libraries? (hey, some of us can’t afford to buy new books every month). I especially like book No. 6 . I want to get one for my nieces and nephews. Any local books that are written in bilingual language (say Bahasa Malaysia and English version)? 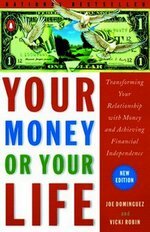 A good personal finance book I have read is Set For Life by Bambi Holzer. Great book. Got it at Acmamall.com. COst abt RM100 over. Still a good read and a good guide. More Carnivals than the Miami Archdiocese « Are You Going To Be This Way The Rest of The Time I Know You? Great list. Several there I had not considered. Thanks for sharing it. may i know are all of these books available in mph? I think not everyone of those books are available at MPH. Nice list of books; I have some reading to catch up on now! 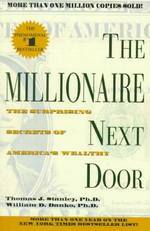 The Millionaire Next Door is such an important read. So many think that a big house or fancy new car is a sign of success that they strive for it at any cost including debt. For many wealthy people it’s not the case and it’s good to see that. Sorry for visiting less as my laptop is kaput. Terpaksa get a new one soon. That is a 6 star book! I would have added the Richest Man in Babylon and the Wealthy Barber. No. 6 is new to me. I must get a copy for my son to read this year end holidays. I haven’t read those book yet. Will do it soon. Thanks for the recommendation Fathersez.